Five golden rules to start a blog and be successful with it. With almost one billion websites and 2.9 billion internet users, the worldwide web became a huge spider-web that fighting to exist is like being a fly sticked in that web fighting not to get eaten by the big tarantulas. So if you decided to start a blog, no matter if you are a professional digital marketer or a young teenager that has something cool and hip to say, you need to pay attention to 5 golden rules about blogging. Without these rules you will commit that one mistake that the fly always do and get eaten by the “non-visibility spider”. So here are 5 good pieces of advice that will save you a lot of time or even prevent you to start something that you might not be able to manage. Today in the world there are approximately 152 million blogs. These represent 15% of all websites in the world. It means that every day in the world there are 172’800 new blogs created. They became tremendously popular in the late 1990’s. It coincided with the advent of web publishing tools that facilitated the posting of content by non-technical users. Before that, you needed to have deep knowledge in html and ftp to publish content on the web. The name blog comes from weblog, web-log. This concept was used the first time in December 1997 by Jorn Barger. Being one of the firsts to get interested about digital content publishing, he created the term weblog to describe the process of “logging the web” as he surfed. The term stayed and was simplified as blog in 1999 by Peter Merholz, who jokingly broke the word weblog into the sentence we blog in the sidebar of his blog Peterme,com. These were the beginnings of an amazing trend in which anyone could become a web content producer. The years 2000 brought the power to blogs and to bloggers. They became world references and were part of the biggest world influencers. Brands would bend to what some of these bloggers would say and eventually would even allow them to market products for them. It was the era of the bloggers super stars. Today things have changed. Companies put in place clever blog strategies, content syndication, video and social seeding are just a few strategies to populate the blogosphere with brand content. “Old bloggers” became professional news editors, new bloggers are embracing social media and SEO strategies and brands have their own blogs that sometimes can be bigger than the proper websites. So if you are about to start a blog, the task seems huge and the challenge as well. So there are a couple of things that you definitely want to take care of in order to make a successful blog. The first golden rule is: why do you want to write a blog? It sounds silly but did you already ask yourself why should you start a blog? Why should you dedicate that amount of time, potentially money and hard work to build and keep a blog? Some people could say that bloggers are depressed people without a life, so they blog. It is definitely a cliché (not saying that clichés are untrue though). Probably in most of the cases, a blogger is someone who has something to say about something. No matter if it is political, social, fashionable, about high-tech or fooding. A successful blogger is someone who has something interesting to say, to show or to broadcast. So think about it and rather than starting your own blog you might want to try a couple of guest posts before on other people’s blogs in order to test your “interest level”. Buying a URL and opening a web page is something anyone can do. Publishing a qualitative piece of content is another league. Today it is all about the content. A successful blogger will publish original, exclusive and useful content. If the quality is not there, the people will not read it. With all my respect, nobody is waiting for you to write something. With millions of news website, you might find hard to cover a story that no professional high-skilled news team hasn’t cover it yet. So the good habit is: think first, write later. Make sure that every-time you post something it has high relevance and quality to the type of audience you are looking for. You better post 1 to 3 times a week in a great way rather than posting bad content everyday. It might sound as a detail but your web hosting solution and url are very important. The first one will determine the geographical definition of your audience. By hosting your blog in the US, you might get a natural traffic from North America. If you host your blog in Switzerland, it is mostly likely that your Swiss traffic will be a majority of your visitors. It shouldn’t be the case but Google algorithm is pretty much sophisticated these days. The URL is also an important topic. It is the summary of what is your website about. It will give already to a new potential visitor an idea of what kind of blog you have. Sometimes we feel that all possible urls are already taken but you will find something relevant for your content. So choose it well. A successful blogger is an influencer. It means that (s)he has several thousands of people who read what (s)he writes and generally tend to give (s)he a strong legitimacy on the topic the blogger is covering. So it means that you need to cultivate your network and develop the links between your website and other bloggers. Being part of an influential stream is very beneficial. By sharing links from your blog to other blogs and vice-versa, is also very beneficial to the famous “website ranking”. Make sure this happens in a natural way. Avoid building artificial web-linking programs that might give you a Google penalty. You will be in trouble to get rid of it. Fifth golden rule: be patient! The worst thing that can happen to you is to rush for stats. Do not try to strike an amazing success in a couple of weeks. If you consult your stats every day or even several times a day, it will drive you insane. In average a website takes around 18 month to become successful with a solid and sustainable traffic. So you will need to be patient and traffic will come. Do not forget that traffic depends on how, when and what Google and other search engines decide user to see. This means you need to have a minimum understanding of Search Engine Optimization- SEO. Otherwise, you will have the best content possible but nobody will spot it out. Welcome to the SEO-SEM era. Last but not least, do not forget the world became mobile. Web-browsing on mobile is bigger now than desktop. There are twice more searches on mobile in the world than on desktop. So one good piece of advice: get a template for your blog that works on multiple devices. Nowadays responsive design templates are cheap and you can even get some good responsive templates for free, specially if you use WordPress (as 47% of all blogs). So, now that you got a few insights about how to start and maintain a successful blog, you have only one thing to say: Hello world!. Info sourced at internetlivestats.com, wpvirtuoso.com, wikipedia and socialbakers.com. Images are used for illustration purposes only. All content is copyrighted with no reproduction rights available. 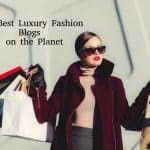 From best luxury Bloggers to top Influencers… the new era of online visibility.